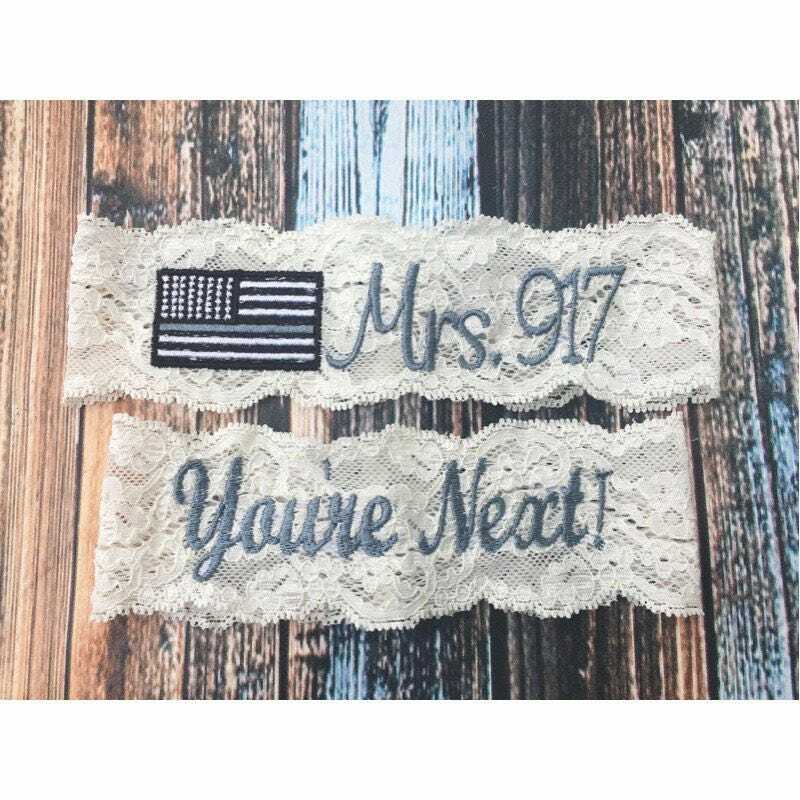 This thin gray line garter is the perfect way to represent your corrections officer on your wedding day! Just let us know the badge number in the note section at checkout! Comes with a you're next Garter as well!